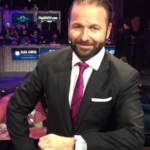 Over the past few years, I count myself fortunate to have developed a great friendship with Eric Hollreiser, who was recently promoted to the position of Marketing Director at PokerStars. You’ve likely heard his name before, have seen him quoted in poker articles, or perhaps have stumbled upon a rare short video clip of him, but Eric doesn’t often grant many interviews. The better you get to know him, the more you can begin to fully appreciate the immense talent and passion he brings to the the table. To a large extent, one wouldn’t be overreaching by saying that Eric is the personification of the heart and soul of the company and the values it stands for. Yet, for all he’s accomplished in his 8+ years with The Stars Group, he’s preferred to shy away from the spotlight, instead letting his hard work do the talking, and allowing members of his team to receive the public accolades. It’s for all those aforementioned reasons that I’m honored Eric agreed to sit with me for an hour-long, on-the-record video interview. Over the course of our conversation, for the first time publicly he discusses his fascinating past career leading up to joining PokerStars, which included stints at Microsoft, Disney, and Activision, among other stops along the way. He also goes into great detail regarding what it was like to join the company in the immediate wake of Back Friday, work with the Scheinbergs, and what the transition was like internally moving from being a private to a public company, including acknowledging mistakes, pointing to highlights, and much more. We also take a look at the just-completed PokerStars Players Championship (PSPC) to get Eric’s thoughts on what did and didn’t work, why the event was staged, what the goals were and how success is measured. We live in a “microwave society” nowadays, where everyone just wants sound bites, instant answers, and quick clips to titillate their content-hungry taste buds. Sometimes though, the best meals need to be slow-cooked in order to be properly savored. 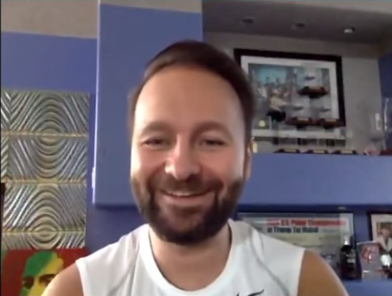 It’ll certainly take some time to watch this full video interview — or you could opt to read through the lengthy transcript below — but I assure you that it’ll be worth your while if you’ve ever wanted to have a genuine, behind-the-scenes look at PokerStars, know the real answers to tough questions about the company’s history, and get to know what it is that makes the people working there tick. Hey everybody, Robbie Strazynski here for Cardplayer Lifestyle.com, and I have a very special guest with us: the new Head of Marketing at the Stars Group, Eric Hollreiser. Welcome. Hi Robbie. Thanks for having me. You’ve had that new title, Head of Marketing at the Stars Group, just for the past few months, but of course you’ve obviously been with the Stars Group for many years, I think ever since just after Black Friday, is that right? You were the VP of Corporate Communications. What would you say are the main differences between your new role and your previous role? Well, it’s really been an evolution toward this marketing role. I came to the company just after Black Friday, as you noted, as the Head of Communications, and that job, as you can imagine, post-Black Friday was really about crisis management and steering the company through what was a really tough time. I was responsible for public relations and internal communications, all of our public-facing communications and our internal information for employees. Over the years, I gradually took on more and more responsibilities. In the past couple of years in particular, I began being responsible for our Team Pro, our ambassadors, and then our celebrities as well. Then the blog and then the school and then social media, and that’s more recently into player engagement; so the Twitch program, which you know has been something I’ve been very passionate about for a couple of years. So, late last year, they asked me if I’d be willing to take over the full poker marketing role, and I was very honored and proud to take that on. I have been gradually taking on all of those responsibilities while also transitioning some of my group-wide and corporate responsibilities. So, now I’m 100% dedicated and focused on poker and on PokerStars, and driving all of our go-to-market strategies, all of our poker advertising, as well as a lot of my existing responsibilities that were more marketing-leaning. It’s a lot for one person to carry, and obviously you’ve got teams, but it’s a lot of responsibility. We’re here at the PokerStars Players Championship in the Bahamas, which has just concluded. Amazing conclusion, by the way. $5.1 million to a Platinum Pass winner from Spain. Yeah, you know, we couldn’t have scripted it any better. But of course, we did try to get that script. Chris Moneymaker was here to congratulate the winner, and that was so apropos, because he was really the inspiration for all of this, and to have a Platinum Pass winner take the whole thing down. And we had two of the final three, so it was a tremendous experience and a testament to all of the players who made this such an incredibly historic event and to the teams of people at PokerStars who worked for 13 months to bring this all to fruition and just everyone, we’re here on the night after the conclusion of the final table, pulling a late one, which I appreciate, Robbie. It’s the opposite, but happy to pull a late one. It’s about 11 o’clock at night right now. Obviously, it’s a tremendous event that you put on. It was covered from pretty much every angle. What sorts of things are you personally involved in doing while the event was going on? While the event was going on, really it was just managing the little fires that pop up at these sorts of things and being here to make decisions as needed. But the team is just so experienced and so passionate about their job; I was really spending a lot of time just making sure everybody was having the great time that we hoped and planned for, and I think that they did thus far, and we still have a lot of days to go. Yes, the PCA’s coming up. Well, live events aren’t running every single day of the year. What’s your regular day-to-day like when there aren’t any live events going on? Putting out those little fires that pop up, in different ways. 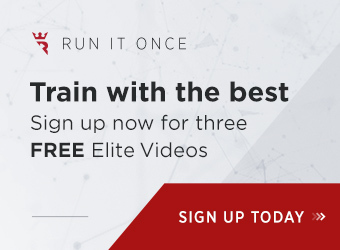 I’ve got a tremendous team – my existing team and the team that I’ve inherited – and we think, live, and breathe poker and PokerStars every day, which is a pleasure and a privilege. 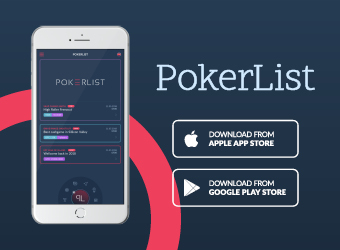 Our goals for PokerStars are really to make sure that people have as much interaction and positive interaction with the products and with the people and with the service, and that everything is running to the standard that PokerStars has delivered historically. 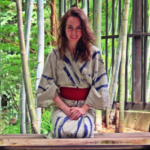 So it starts with – and marketing is very broad that way – it does start with the product. So making sure that the product is running as smoothly as possible and then delivering the communications and the marketing programs that appeal to our existing player base and, just as if not more importantly, expanding that player base. So we spend a lot of time looking at the insights and data that help us to understand what are the barriers to entry for new players. We look at those very closely and try to come up with promotions that keep the current players engaged and that will be attractive to new players. Obviously, that has to be the day-to-day involvement. It makes sense. It’s funny, because I crafted these questions genuinely personally curious to know the answer, so I need to take a moment to sometimes digest that. So it’s interesting. Well, you know, it’s kind of like when I go home and my wife constantly asks me about how my day was and what do I do and how do I do it, and doesn’t really understand exactly what I do. Which is fine. But really, it’s about promoting poker, at the end of the day. What can we do that excites our existing players and interests other people? 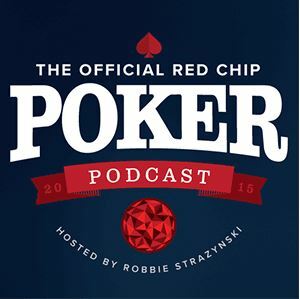 Particularly, we look at the next generation of poker players that is coming in. We’ve got different interests and different competitive interests, and that’s how we need to evolve the game and evolve the way that we talk to all consumers, so that we’re relevant in today’s very busy world, and the busy entertainment sphere that we compete against. And the words you’re using are obviously the words of someone who’s very experienced in this type of role, and if you don’t mind, I want to take a step away from that. You have a very rich professional background of experience from before you had even come to the Stars Group. You come from having worked at some of the world’s most successful companies, and not many people know about that. So let’s start from the beginning. You studied Journalism and graduated from New York University in the late 1980s. What initially drew you to journalism, to that field of study? It was Woodward and Bernstein. Ooh, that’s the Watergate boys. The Watergate tapes and the idea that journalists could hold accountable those in power. And that, along with my love of storytelling and my intense curiosity, I found that journalism was a career that could give me access to people and places and experiences that I otherwise wouldn’t. I come from very humble beginnings, and so was able to find myself in places that I wouldn’t ordinarily have been able to get access to. I was very lucky in my journalism career of about 10 years; it brought me to everywhere from Greenwich Village nightclubs to the White House. So let’s actually look into that for a second. What were some of the highlights of those close to a decade that you were in journalism? Anything particularly memorable for you? I was at Rolling Stone during one of its anniversary years. For another time, we can talk about those stories. But at Rolling Stone, I got to fulfill multiple pleasures. I got to listen to music, to meet famous musicians, and to write about it. You know what it’s like to be able to write about a passion, so that was really wonderful. And then I covered business issues from Washington DC, so I went down there with images of Woodward and Bernstein, but I actually became a business reporter, which was the furthest thing that I ever thought I’d do because I was really much more of a culture writer before that. And it’s that ability to kind of hold truth to power, but more importantly to tell stories. I always saw my role as a journalist as something of a public servant or a customer service person. I was there because I had the privilege of being there. My readers didn’t have that same access or privilege, so I had to be there to be their eyes and ears and voice, and then communicate back to them what I would hope they would want to know. That’s obviously a very deep passion, and in a sense it sort of leads into my next question. With such a passion and such a drive to do journalism well, you decided to shift your career focus a little bit and move over to public relations. Why? What is it that appealed to you about public relations that you decided to “leave journalism behind,” for lack of a better phrase? It was a number of factors. Journalism was changing at the time; it was the early days of the advent of the internet, and it was unclear where journalism was going, particularly print journalists like myself. And I never could have predicted where it went, but that uncertainty led me to think about what else I could do. I had a number of people over the years who had asked about my interest in “coming over to the dark side” of public relations, and wasn’t sure whether I should be honored or not in those who thought I’d be pretty good at it. So I tried it, and it stuck. What do you like about public relations? Well, the things that I found very similar to journalism is that it is still very service-oriented. It’s just the flip side, so being able to take my understanding and knowledge of what storytellers are looking for and apply that to a business environment where you’ve got companies who are spending their time creating things, whether it’s a product or a service, and finding ways to help them tell their stories. You’re reading my questions! Yeah, we’re going to talk about that, sure. Go ahead. Once you get a storyteller going, it’s really hard to rub me down. But I’ve been able to work for some very large companies, all going through various kinds of transitions. At Disney, I was responsible for media relations for all of Disney’s kids’ television business around the world. I probably watched some of that programming when I was a kid, so. Lizzie McGuire and Even Stevens, and that made me very popular with my then-very young children. I left Disney and started in a PR agency with my former CEO at a PR agency where I cut my teeth, and that was very successful and we sold that very quickly, within two years. Then I went to Microsoft, and had the great privilege of working with the smartest people I’ve ever met. All the way at the top? All the way to the top, and got to work with Bill Gates and do all of his press and public relations for the consumer products. That was amazing. Just a wonderful company, an incredible man. And then I was recruited by Activision to run communications for the Guitar Hero brand, which again brought me back to music and being able to—I was very keen on the convergence of media, entertainment, and technology. And at the time, with the plastic guitars and plastic instruments, with the music and then the downloadable content and the interactive community that was growing around music, playing music in the form of a game, was to me the height of convergence. And it was actually part of that that brought me to PokerStars in kind of a roundabout way. Interesting. It does take a very particular and refined skillset to fill those tremendous roles in all these big companies. But having worked in those big companies, and with minds like Bill Gates and tremendous other minds, what are the things that you took away from those jobs? What sort of lessons, what sort of character traits that you were able to internalize and bring once you moved into the poker world? It’s a myriad of lessons, and somewhat different from company to company. I think it’s nothing new or novel, but people have a passion and a vision, and the desire to achieve can do amazing things. For Walt Disney, it was about telling stories of magic. For Bill Gates and Microsoft, it was the magic of software. At Activision, it was creating a behemoth of a company that brought some of the greatest games from Call of Duty through to Guitar Hero and World of Warcraft. And that kind of engaging, interactive experience was incredibly informative to me. And then the people who are behind that, and as I increasingly got into technology, the software and the engineering mindset that goes into creating something literally out of thin air that can reach millions and millions of people instantly. And for PokerStars that was the lure for me, because I didn’t come from a poker background. I certainly played poker growing up, and playing poker I would consider myself the most casual of poker players. But I saw PokerStars as this incredible entertainment company. Certainly a poker company. But in addition to having the incredible software that allowed people to play with each other around the world and to interact and have micro-transactions at an astounding level, but also be the biggest producer of live poker events in the world, and the largest producer of poker content in the world. So all of those things are about following a passion, informing people, entertaining them with news and information, that ultimately, because we are a business at the end of the day, drives them back to your product so that they’ll come for more so that the company can grow and prosper. You mentioned that certainly you played poker growing up. But when you move into a VP of Corporate Communications type of role, at the world’s largest online poker company, let’s hear exactly how much poker you knew. Who taught you the game? 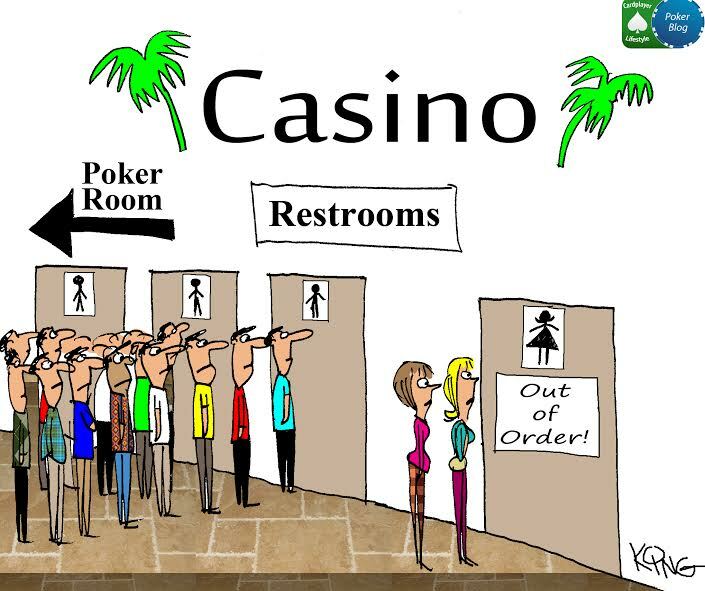 Had you ever played in poker rooms, or was it all home games? Was it Hold’em? What did you know? I knew Hold’em. And it’s interesting, when I came to the company I was in the minority of non-poker-first people. We were a company full of people who had a passion for poker, and as the company grew, and when I came in, the Scheinbergs were recognizing that we needed to professionalize certain areas. So I have never pretended to be a poker person; I know what I know and I bring that to bear. I’ve since been able to learn from some of the best. I’ve played a ton of poker. I don’t get to play anywhere near as much as I would like to. But I’ve gained a very healthy appreciation and understanding of the game and of the people who play it. People who play it professionally as well? People who play it professionally, absolutely. And again, I’m really privileged to be able to spend a lot of time with the Daniel Negreanus of the world, the Lex Veldhuises, and obviously have both heard the input and received the wrath of players and understand exactly what they expect from us. What did you find when you first moved into PokerStars most different, working for an online gaming company versus these more conventional types of companies that you had worked for? You have to learn a lot of things. I did come from Microsoft, which itself had issues with the Department of Justice. And those were anti-trust issues and monopoly issues. But I looked at online poker at the time – and still somewhat to this day, and certainly in some areas of the world – as being an innovative, disruptive product and industry that moved at internet speed, but in a highly regulated industry that wasn’t ready for the internet. So we have ever since been educating and informing regulators on how there’s a need to ensure that companies in this space need to be regulated, because the gambling space has been regulated for a good long time for many good reasons. So, there are myriad challenges that come with that. A lot of them are very similar to any e-commerce company that disrupts an industry. A lot of them, when you get into the alleged “sin industries,” like gambling, come with the moral baggage that those kinds of companies have to deal with and that we learn from. But at the end of the day, even as we were a private company, we were a very well-run business. And at the end of the day, companies that survive are those that are well run and that can withstand the shocks and tremors and complexities of being a global business in an industry that’s either heavily regulated or unregulated, and we’ve lived through the unregulated to the heavily regulated in some areas, and still regulating in other areas. You mentioned a company that’s well run, but dealing with shocks, dealing with turmoil; I mean, you came into PokerStars in May 2011 where the entire online poker world was in tremendous upheaval. Was it chaotic? It was challenging. The company, because it was and has been well run from the start, went to its values and went to its fundamentals. And that was: First, are the customers OK? Next, are the employees OK? Next, how do we make sure we survive? And it was an ordered chaos because no one knew what was going to happen next. But once you sort of took care of the things at home. The big fires, I guess; not the little fires. And we did a tremendous job of keeping everybody focused on what they can do. And then management went about doing what it needed to do, and that was to protect the company. And we did a tremendous job with it, and even through the settlement with the US DOJ, the acquisition of Full Tilt and making those players as whole as possible. That was an incredible experience, but it brought great people together, and when you bring great people together, you can withstand a lot. And good things happen. It’s 2019, and a lot of people who have been in the industry for a while, and players alike, obviously, you kind of romanticize the pre-acquisition era. What was it like working with the Scheinbergs? Really fantastic people. On the one hand it was a chaotic time, but in those chaotic times you see people’s true colors. And so I was able to, in the most stressful of circumstances, measure up the entire management team, not just the owners, and see where their values lay, and that’s what made it so impressive to me. Because they care for the customers, they care for employees. I mean, we lost 25% of our business overnight. In many companies, that would mean you’re going to lose at least 25% of your employees very soon, and we didn’t let a single employee go. And that was very much to the values of management and ownership, and one of the advantages of being a private company, where you can make such decisions and not have the demands of public shareholders. That leads into the next question, then. At some point, that changed. You still had the same role, but to what extent did your role and did things at the company change from “you’re private,” to “you’re no longer private”? It was obviously jarring, and when you think about becoming a public company, we became a public company in not a very common way. It’s not completely unheard of, but a much smaller publicly-listed company bought us as a much larger private company. So we had a lot of learning to do, and I’ve come to think of it as a private entity becoming a public company; we had to do a lot of growing up in public. And we did some things very well and we were able to keep a lot of people focused on the business, but then as a public company we then had to do a lot of things that the company wasn’t used to doing. And we had a lot of challenges. So we didn’t do everything well, but I do believe we did everything we could at the time with the information that we had. I know a lot of the changes that we made disappointed and upset and hurt a lot of our customers. And that’s terrible. And I do believe a lot of the changes that we made were changes that we had to make. Some of the decisions that we made and when we implemented the changes and how we implemented them I personally regret and I wish we could do it over again, and do it differently. At the end of the day, the fundamental changes that we were making had to be made, from a business standpoint, there’s no doubt about that. I believe that we have learned from the mistakes that we’ve made. We certainly heard and have felt the pain that we caused, a portion of our customer base, and we lost the trust from a core and important part of our customer base, and that’s a terrible thing. And the only way if we can ever get that back is to earn it back. And that’s what we wake up every morning trying to do. When that happened, meetings take place, and these feelings aren’t new. But four years later, what type of mood and ambiance happens in the meeting room when that happens amongst yourself and your team? Well, going back, it’s a few years now. It was not a fun time, to be honest with you, and there were lots of heated discussions and lots of points of view, and again, it was lots of passionate people making the best decisions that they can make with the information they have at the time. It is very much, I feel that we’ve turned many pages since then, we’ve been through many challenges that have absolutely nothing to do with that and that we have survived, and again, that’s a testament to the people and the passion that the company has. We’ve got more than we’ve ever had before in terms of people and I think we’ve got more passion than we’ve ever had before. 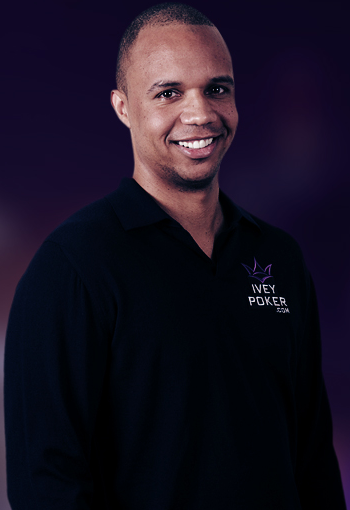 We’re a much bigger, more diverse company now, and one of the reasons that I’m really proud and privileged to have the role that I have in poker marketing is I can be very focused on poker. And now in my eight years at the company, I hopefully bring a lot of the tradition, heritage, and the knowledge with me and can stay very focused on making sure that the poker DNA within the company is protected and enhanced, and that we take poker to greater heights, and bring all of our customers with us, and bring many, many more. But people still play on it! Which is great. So, what’s going on with Full Tilt? Are there plans to do a little bit more, enhance it, or expand its role within the family? I think we’re continuing to look at it, and poker has been changing so dramatically and I would love to say we’re in the boom years, but obviously we’re not. And I think our number one priority is to grow poker to the best of our ability, and right now, I think that’s focusing on PokerStars as the key brand. We understand those who play on Full Tilt and the reasons why they play on Full Tilt. We haven’t cracked the nut on exactly the best way those two brands should interact, but we’ve got enough of a challenge in expanding poker around the world and dealing with the challenges of a regulating market. It’s counter-intuitive—we’re a company that has been the leading force in driving regulation, and what comes with regulation is really difficult. It’s additional cost, it’s additional complexity, it’s a lot of resources devoted to launching in a market. You take a market like Portugal, for instance, where we had a really strong customer base; the minute it becomes regulated, we have to change everything. We have to adopt, and from a technical and compliance way on, and that takes a lot of resources. It takes a lot of energy, focus, and effort. The other thing that comes with regulation is taxation. And so we get squeezed in our profits and our ability to make revenue, because we have to pay the tax man. And we’re happy to do that inasmuch as that regulated business makes it clear and safe for customers and clear and safe for our business and employees, and a safer investment. So it’s a challenge, every single day, and it’s a complex business. I would be remiss if I didn’t take the players’ standpoint on one item that you mentioned, about the taxes. And obviously, a business isn’t going to go ahead and operate saying “OK, we’re going to make sure we’re going to try to lose money here.” But to what extent do these regulations that you have to comply with, to what extent is the cost passed on to the customer? Like any business, we are – and I’m talking about the heritage, the original ownership of our company was always – very business-focused, and a very profitable company. And we had targets and we had goals, and as I said, it was a very well-run business. And any well-run business looks at the money coming in, the money being invested, and the money going out. And that money is going out to shareholders, it’s going out to employees, and it’s going toward expenses. And a regulated industry is a more expensive industry than a non-regulated industry. So, yes, we pass on costs and we try to do it in a way that serves all the various audiences that we have. And yes, players and customers are one of those. But at the same time, we’re a unique business, in many ways a unique company in that we understand that people, many people count on our service and our product to make their own living. And it’s a tough one, right? Because we’re here not as a charitable organization, not as someone who’s hiring the millions of poker players on our site, but we recognize that some portion of them are doing this for their living. And that in and of itself creates a complexity and an ecosystem dynamic that we have to manage. May be very big on an individual level, sure. And as I said, we haven’t always managed that well, particularly in the transition from private to public. But we’re not ignorant to that reality, and we want to have the big tent that we have, so we want to cater to as many customers as we possibly can while trying to serve all of our customers, all of our employees, and our shareholders. We’ve spent a lot of time covering the past in this interview, and the reason I prepared and asked so many questions about that is, I just sort of feel that that story has never really been told and addressed in public. I’m saving it for the book. I think it’s at least a trilogy, and depending on how long I stay with the company, who knows. Well, it’s certainly a lot of information, and I’m grateful that you took the questions and answered them, and I feel like a lot of people out there who have been customers of Stars and just the sort of people who are watching the industry would just generally appreciate that type of openness, and it’s good to hear it. With that said, we don’t have to live in the past, let’s move into the present. 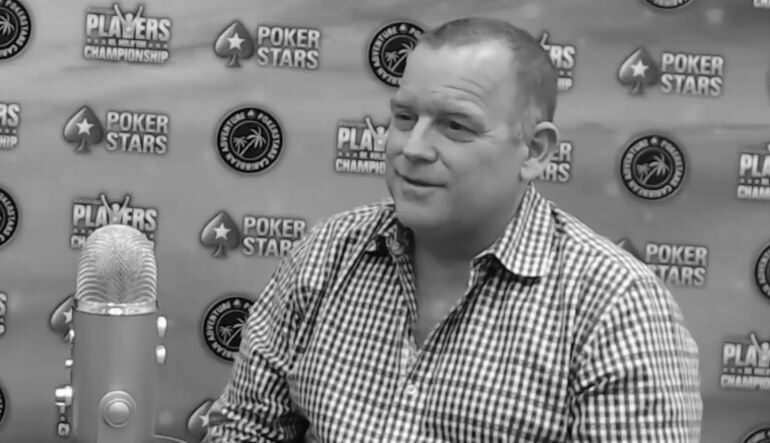 You and your immediate team and, to a great extent, the entirety of the poker division of the Stars Group, you spent this past year developing, working on, and executing this crazy idea of the PSPC, the PokerStars Players Championship. By now, as you said at the beginning of the interview, we’re post-PSPC. Everyone knows the story, the numbers, it’s been covered by every camera angle, every written article, every audio interview. Hell of an impressive thing that you guys pulled off. I’m not just saying that because you’re here; I think it really is. I think universally, there’s not anyone who could go ahead and poke a hole and say “Oh, that sucked.” It was pretty darn impressive. It’s definitely a feather in your caps. I don’t know if—well, let’s just ask you. How do you measure the success of such an event? Beyond numbers and excel sheets? Well, everything you just said are measures of success, right? The reaction from players who were here and have been participating has been incredibly gratifying. The buzz and the interest that’s been generated and that continue to be generated, that was one of the primary reasons why we wanted to create the event that we’ve created. I don’t think any of us—well, some people may have anticipated over 1,000 players in it. I wouldn’t have bet a thousand. If we go back and look at why we did what we did, it was a risk. And the gamble paid off. How risky was it? It was our single largest marketing program for the year, and it was a yearlong program and we devoted a tremendous amount of people hours and the energy of so many teams that committed themselves fully to telling the stories, as many of the 320 stories as we possibly could, and taking our inspiration from Chris Moneymaker. 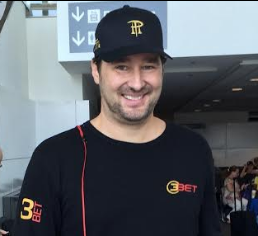 We didn’t dare think that we could capture lightning in a bottle twice, and there will never be another Chris Moneymaker, and I don’t know that you can replicate those kinds of moments. 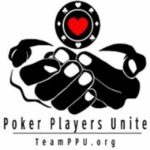 But the humanity and the passion and the drama and the aspiration that people found so compelling about Chris’ story, we wanted to see if we could amplify that and if we could highlight, to not just the poker community, but outside the poker community, all of those great human realities that draws people to poker. The skill, the chance, the emotion, the potential for life-changing moments, and to do it on a scale that in today’s world would capture people’s attention. And happily, we’ve accomplished a lot of that. And so how we measure success? We measure success in all of those stories. I could have said two months ago, and was saying internally, that it’s already a success. To be able to have told so many of those stories, to excite the community in the way that we did. Again, even going through the Christmas and New Year break, we didn’t know how many people were going to come. But the buzz just kept growing. And yes, we were feeding it, and we were feeding it mightily, but we were feeding it largely with the stories that are authentic and true to the community. So to be able to kind of serve that up for people was tremendous, and the delivery on that was that we got everybody’s attention, and we enticed people with the right kind of enticement that created the opportunity for the drama and the thrills and the chills that we saw throughout the tournament, and that’s what makes poker great and it’s what makes experiences wonderful. So it was successful on those measures. You mentioned the word “attention.” At least, to me personally, attention is the world’s most valuable currency. It’s very difficult to get anyone’s attention in the age of social media and you’re not just competing against direct competitors, but you’re competing against football and basketball and Netflix and a whole bunch of other stuff. So at least as far as poker was concerned – and this is just my personal perspective –sure, there’s other stuff going on, but especially as you’ve moved into January, as this event was beginning to start, there really aren’t that many other stories going on. So you were able to command the attention with that team effort. That’s just my own personal observation. There’s healthy competition in the poker world, and as large a player as we are, and in some areas as dominant as we are, we really honestly embrace competition. To see the dark days following Black Friday were really tough on the entire community, and I think we found an opportunity to certainly thrive as a company, and I wouldn’t shy away from that at all, but we also felt a little bit of the burden and the responsibility of making sure we’re producing live events, that we’re creating as much innovation and opportunity for people, even as our business became more challenging. So in the past few years, as we’ve seen some of our competitors really up their game in poker, that’s been a great challenge for us. And I think it’s hopefully been good for poker players, but we welcome others doing live events. We welcome the innovation of some of our competitors, because it makes us better. And our competitive set is great for poker, however, we as an industry leader have to look beyond our immediate competitors. Reed Hastings at Netflix, when asked “What’s your biggest competitor?” and he said “Sleep.” And so when we look at our competitive set beyond poker, it is, you know, the thing that’s drawing our customers’ attention and our potential customers’ attention, which is a myriad of things. So we need to be innovative, we need to figure out how we can break through and capture the attention, not just of our existing customers, not just of our existing poker community, but beyond. And that’s what we, and I certainly wake up every single day, trying to figure out how to do that. I’m going to be cynical for a second and it sounds great, it’s a good answer. It’s a genuine answer, and I believe it personally. But there are those who may not necessarily say that, because OK, Coke isn’t going to go ahead and say “Hey, Pepsi’s doing great, rah rah rah, that’s great.” But my question’s more on something else. It’s quite possible there are those people who would say that competitors don’t necessarily share your values, with the Stars Group. When you see success from companies who don’t necessarily share your values, does that take away from that “rah rah, they’re doing great”? Look, there’s – and I don’t know specifically who you’re talking about and I don’t need to know – but there’s different levels of competition, right? And I think the poker community and our larger competitors are all good, smart people, legitimate businesses, doing the best that they can with the values that they hold. And I can’t speak to their values, and wouldn’t even try to. As a leader, we need to extol the values that we believe the industry needs. So that’s a difficult thing to do, and we can’t speak for the whole industry. All we can do is act against our values and encourage others to do the same, and I think by and large, with some notable missteps, we do act with integrity. We do strive to do the right thing from the way we operate with regulated markets to the way that we promote regulation to the way we deal with problem gambling and try never to shy away from the ills that can come from our product and the social realities that we face, and I think we need to make sure that we’re shining a light on the entire industry. We can do our part, but I, pulling back the curtain and being as transparent as we can be about our motivations, extolling our values. That’s what this (interview) is about. That’s part of what this is about. But look, there was a time when very few operators in our business shone any light on themselves. We go back now a good number of years, and being at the forefront of transparency, and no, we don’t always get it right, and no, we’re not always as transparent as we could be. We’re not always as quick to comment and explain, and we’re trying, and we want to get better at it. And sometimes there are reasons that we can’t be, and that can be frustrating to our customers, and we get that. It’s often frustrating to us. But, again, part of that is being a responsible company, because we need to be responsible to the regulators who have a lot of say as to what we do, we have to be responsible to our shareholders, and we have to be responsible to our customers. I think that’s about as fair an answer as one can reasonably expect. Thank you for your honesty. The big question, the final question: So, after you get married there’s the honeymoon period, the whole big thing going on, and you’ve got numbers to examine and moods and measures of success etc. Everyone’s wondering, are we going to do this again? I don’t, I won’t make you answer on one foot because it doesn’t really matter what you say right now; we’ll see what happens. The question is, though, is the attitude more of, “it ain’t broke, don’t fix it, maybe let’s try to do it again”? Or “let’s see how we could tweak it, make it better, look for ways to improve”? Or “let’s scrap the whole thing and be innovative and do something else”? Which direction, door number 1, 2, or 3, I guess? Yes. In all seriousness, we’re looking at all of those options. It’s the question I’ve gotten most, and increasingly over the past few days. And it’s in and of itself a great sign of success; it’s a measure of success. When you have a dinner party or any kind of party and you’re not even halfway through the party and people are saying “Hey, when are we doing the next one?” we couldn’t ask for anything more. Thank you. But we’ll also let the emotion come down a little bit from the people who we did this for, which are the players, and hear their feedback. And I’ve been trying to ask people, even as they’re being really complimentary, well, what could we have done better? And right now they’re struggling, and that’s wonderful. I want them to struggle to find something better. But we also want to hear, once again, when the euphoria fades a little bit, how can we make this experience better? How can we drive storytelling and create excitement in a regular way that builds toward something big and momentous? We want to do that again. And if that’s called PSPC Volume II? So be it. If it’s called something else and we can build the same kind of level of excitement, then I don’t want people to forget what we’ve done here, but we want to build on it. And whatever form, shape, or name that takes, we’ll see. Last question. I’ve been around comparatively a little while versus other members of the poker media, but you don’t really give that many interviews, at least like this, publicly. And I am grateful for having had this opportunity, and I appreciate it and I tried hard to prepare and to ask good questions, not just softballs and I hope you guys (in the audience) will realize and understand that. Yeah, we’ll have to talk about that later. I do want to ask, though, what is it that made you say “yes”? What is it that you want to communicate? People have been watching now for quite a while. You’ve got their attention. What do you want to tell them? This is your chance. I wouldn’t be so bold as to want to tell anybody anything. 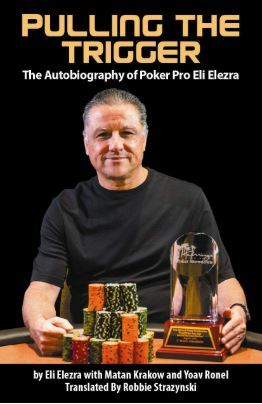 I’m happy to pull back the curtain and to show the kind of company that we are, and I know for the more than 1,000 poker players that are here this week, they’ve seen and witnessed for themselves who we are and can judge our motivations and judge our passion and who we are, and hopefully they’ll come away saying, “these are the people I want to do business with. These are people I want to spend time with. These are people I want to spend my leisure dollar and my leisure time with.” So if I can represent that to people, if I can help provide some of that transparency, then that’s all I ask. You guys heard it. Cardplayer Lifestyle, this is Robbie Strazynski with Eric Hollreiser. It has been a tremendous treat, and again, thank you very much for this opportunity. Thank you. Go on, Robbie. Thank you. Thanks for everything you do.